“Hands-on, Personal care” This is our commitment to you and all of our patients. Every patient is different and will have different therapy needs. It’s our goal to solve all of those problems and attend to those needs on an individual basis, so that each patient recieves exactly the therapy he or she requires. It’s this commitment to individual care that will help you achieve your personal goals and return you to a productive and pain-free lifestyle. At Northsport we will strive to ensure that all of your needs are met whether that be returning to sporting activities, working in the yard or simply getting a full nights sleep. 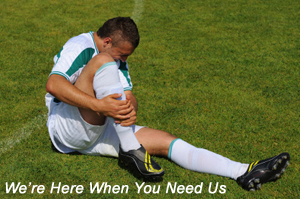 Our professional staff will work with you in your personalized program and give instruction on how you can better manage your own condition as well as providing you with valuable advice on how to prevent re-injury. By maintaining good communication with your physician we are able to provide excellent continuity of care.